So the parametric function satisfies the definition of the circle , which surprised me as I did not think that the circle had a parameterisation by such rational functions (one polynomial divided by another). In fact the lack of such a function was the source of questions and proofs on math.stackexachange. With (on the left) we get the points equally spaced around the curve, but needs to use the whole real line with changes in t moving the point less and less as t increases. You can analyse this in more detail by looking at the differential of the parametric function. In fact that is how I sized the circles in the image. There are also some interesting connections between the parameterisation and the function arctan (think differential). The fact that none of this makes the proofs on math.stackexachange incorrect is left as an exercise! 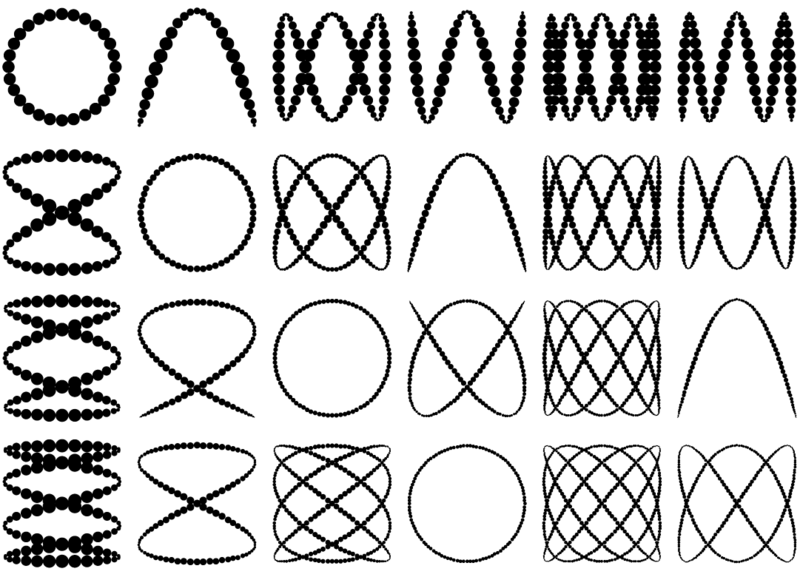 I can’t leave without showing the Lissajous curves with their dots. 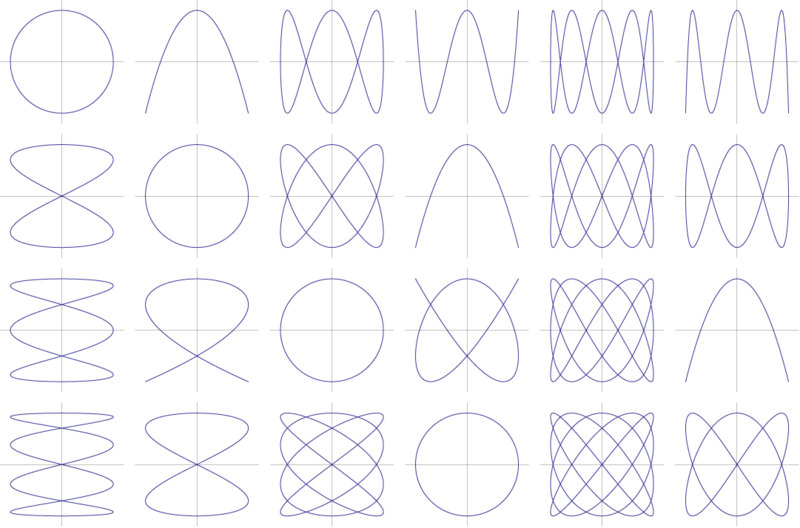 You can also explore these patterns for your own parametric functions.